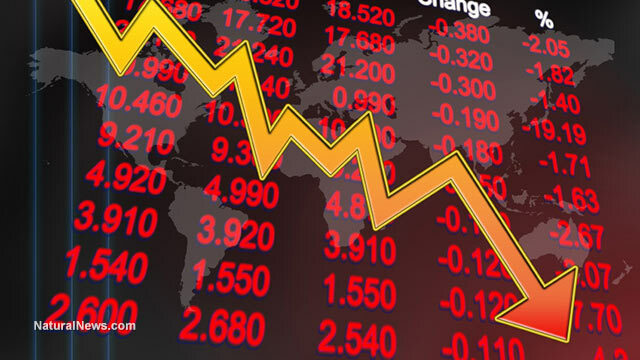 (NaturalNews) Record highs or not, the stock market is in for a major crash in the near future, says former Republican presidential candidate Ron Paul. The economics expert and seasoned defender of liberty told CNBC recently that the Fed's fiat currency creation scheme can only maintain the illusion of economic stability and growth for a time before the bottom completely falls out and the chickens come home to roost. Sharing his wisdom and insight on CNBC's Futures Now program, Paul chastised the money changers for what he maintains is their endless game of "play[ing] havoc" with the stock market. The Federal Reserve has been in the business of artificially pumping fake fiat currency into the markets for more than a century, it turns out, and such activity is nearing the end of its shelf life. According to Paul, the Fed's "fallacy of economic planning" is responsible for all the market "bubbles" that are constantly waning and waxing between "booms" and "busts." The instability caused by this Keynesian model of economics, he contends, will only end in disaster, whether it culminates in years, months, or even weeks. "I don't think there's any way to know what the [timeline] is, but after 35 years of a gigantic bull market in bonds, [the Fed] cannot reverse history and they cannot print money forever," stated Paul to CNBC. "I think [the crash] is going to be much greater [than 10 percent] and it will probably go a lot lower than people say it should. I don't think it's going to be just a correction." The writing is already on the wall, with the stock market once again nearing an all-time high and the Federal Reserve hinting that it doesn't plan to raise interest rates any time in the foreseeable future. It's a recipe for a major bust, in other words, despite the best efforts of the Fed to artificially keep the market from dropping any further. "I look at the markets as being unstable, which means some days they go up a lot and some days they go down rapidly, but they don't advance very far when you look at real growth," Paul added. "The [Federal Reserve] won't allow this market to drop. This is why I've always leaned toward the assumption that the Fed is never going to raise interest rates deliberately. I think the market will raise interest rates." Referring to this culmination as an eventual day of reckoning for the markets, Paul's most recent warnings echo those he's made many times in the past, including throughout his 2008 run for the presidency. You can't just print fiat money forever without inflation eventually catching up, he has always said, and doing so in the first place is the antithesis of free market economics. "You cannot have it, it's artificial, it has nothing to do with freedom and free markets and capitalism and sound money, but it's all artificial, it's all political and that is why we are so vulnerable," stated Paul. "So we're all on the verge -- the country, the world is on the verge of looking more like Detroit and Greece than anything else." "But [in] time that will happen -- it's probably not going to happen tomorrow or next month, but it will happen because this is unsustainable." A video clip of Ron Paul's interview on CNBC is available here.